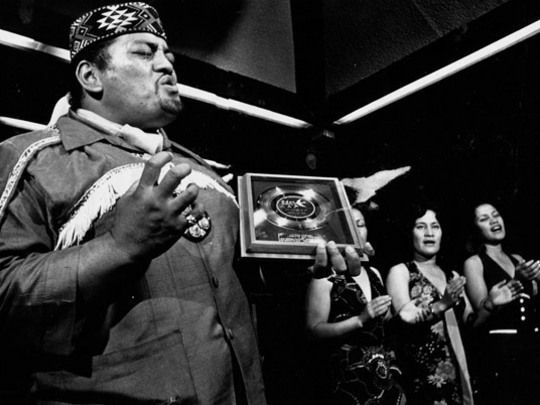 Prince Tui Teka and The Constellation Show Group rehearse a Māori song in Wellington to use on overseas tours. 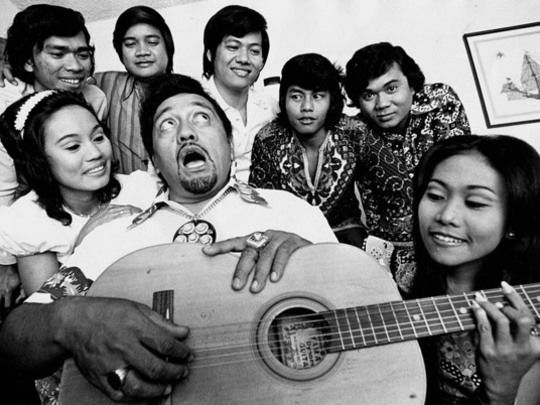 From left rear: Rudy Clavel, Eddy Lapuz, Bert Custudio, Danny Abubot and Leo Domingo. Front: Aurora Ellares, Prince Tui Teka and Dolly Pascual. Kindly supplied by the Dominion Post. 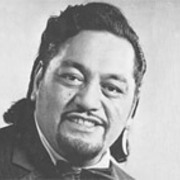 From left: Prince Tui Teka and the Yandall Sisters (Mary, Adele and Pauline) provide vocal backing for his song 'For the Life of Me', which won him a gold disc award.